Financing Normal Financing may not always work...but we don't give up! Our team of Lending experts work hand in hand with you to ensure a successful outcome. Not only is your North Texas Team agent an area expert but our team extends to our preferred lenders, inspectors and closing team to take this journey all the way to the closing table and the keys to your new home. The North Texas Team has local financing experts that are ready to guide you through the home buying process. We are committed to fun, fast, professional, courteous and personal service to help you understand and feel at ease throughout process. Please contact us with any questions or concerns regarding the lending process of purchasing your new home and one of our on call experts will immediately contact you!! Please do not submit any confidential information. 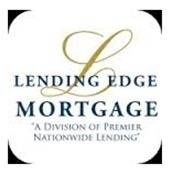 This will be shared with both Lending Edge Mortgage and North Texas Team | RE/MAX Lifestyle Property.